Hi friends! Do you know what day it is?? 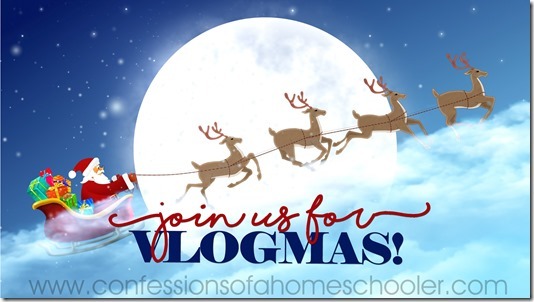 If you don’t know what Vlogmas is, we’re vlogging every day in December leading up to Christmas over on my YouTube channel so come check it out. 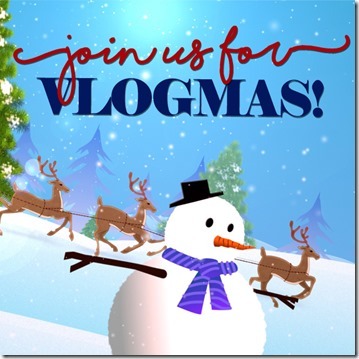 Vlogmas Day 1 goes live later today and we’re excited to take you along with us! So make sure to grab your cup of tea and settle in for some holiday fun! Since I’ll be busy vlogging daily there won’t be as many posts here during December. But don’t worry I’ll be back in homeschooling mode in January, so stick around! Click here to join in on our daily adventures this holiday season! And while you’re over there make sure you’re subscribed to my YouTube and Instagram so you don’t miss any of the festivities!